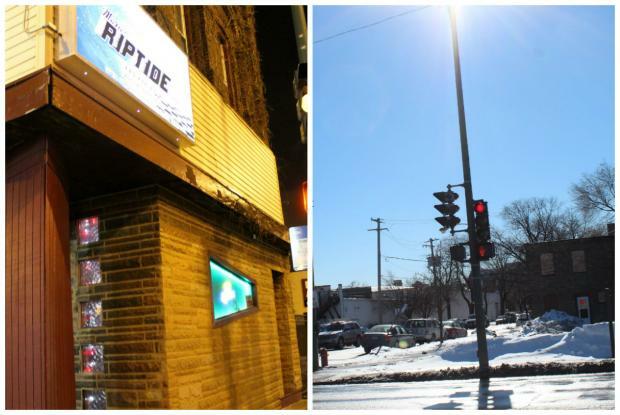 BUCKTOWN — It's been just more than a month since a 119-year-old building that housed a legendary dive bar was demolished, and many people who have passed the southwest corner of Hermitage and Armitage avenues have noticed that Marie's Rip Tide Lounge is gone. "I felt like I was losing something. It was uncomfortable to not see" the building, said Michelle Oh, owner of Daffodil Flower Shop at 1935 W. Armitage Ave. in Bucktown. Oh said the bar, just off the Armitage Avenue Kennedy Expy. exit, was one of the first things she looked at before driving west on Armitage Avenue. "We are used to looking at the building, and without that, it's so funny. For 12 years I always see that building. It was so fast when they knocked it down, it surprised me," Oh said. 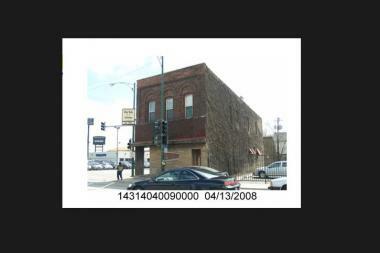 A building at 1745 W. Armitage Ave. that was the longtime home of Marie's Rip Tide Lounge was demolished in December. All that remains of the brick building is a detached brick garage in the back of the lot. A bright orange gas disconnection notice dated Jan. 10 is posted on the garage's window. Sloan Watson, a spokeswoman for Bulley & Andrews, a general contractor firm that bought the building in September, said the garage "will eventually be demolished as well." Bulley & Andrews' main office is adjacent to the property at 1755 W. Armitage Ave.
"People are thrown off their game, they think they are in the wrong spot. Even the cleaning lady [for Bulley & Andrews] thought she was lost," Watson said. A few days before Christmas, Ald. Scott Waguespack (32nd) posted photos of the demolition on his Facebook Page. Marie Wuczynski founded the bar in 1951 and died of heart failure in 2011, at age 88. A Tribune obituary described Wuczynkski as "the ebullient queen of Marie's Rip Tide Lounge on Armitage Avenue, known for her towering pouf of whitish-blonde hair and bawdy sense of humor." When Wuczynski died, she willed ownership of the bar to its longtime manager Tina Congenie, who struggled with financial problems and prompted a Cook County circuit judge to appoint a special administrator to handle the sale of the building. The bar closed in August, just days before Congenie sold the property to Bulley & Andrews. Congenie, who lived behind the bar, said she would be using proceeds from the sale to find a new place to live. Though Congenie said in August she planned to sell the two-story brick building for $2 million to her former neighbors, the property was sold for $1 million to a venture owned by Bulley & Andrews called Snorky Real Estate LLC on Sept. 9, 2013, according to county records. Before the sale, Congenie said she was unsure about what Bulley & Andrews would do with the property, but she thought it would be leveled to make room for parking. "You know what I wish they would do if they do make a parking lot?" she said. "They should put on the side of the building 'Marie's Parking Lot.'" Watson said Bulley & Andrews is "currently evaluating options for office expansion." Watson did not specify if the plans involve adding to the firm's existing building or creating a larger parking lot.